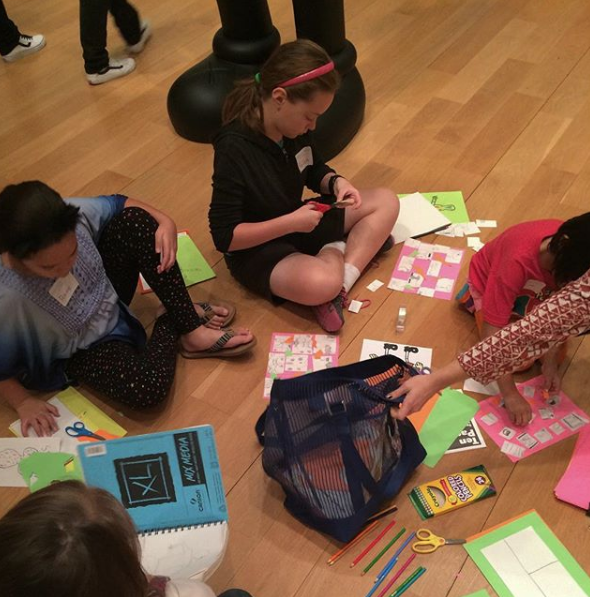 Participants were invited to draw from the collection of KAWS works that was on view at the Modern Art Museum of Fort Worth. Tierra Firme asked students to pose in their favorite cartoon stance while their buddies created a contour line drawing of them. 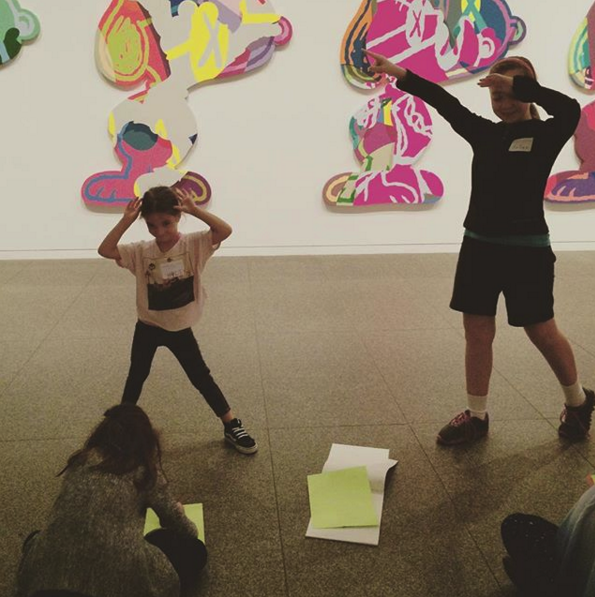 Participants filled their contour line drawings with fun shapes, colors, and textures inspired by KAWS work. In a different exploration, participants were asked to draw their favorite cartoons, cut the drawing up, and use the drawing as a collage material!